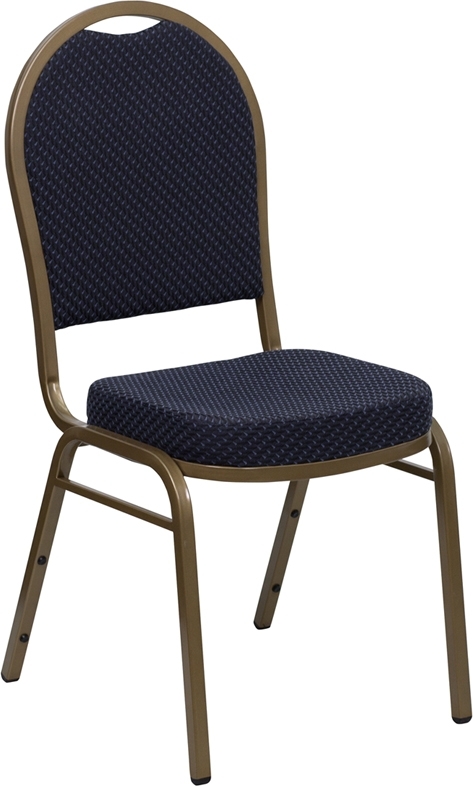 This dome back banquet chair features a dark navy blue pattern mixed with light navy specs. The mixture of dark blue, light blue, and gold make a nice contrast. The chair will compliment a room with light beige, or cream wall colors. Easy to stack, move, and store.